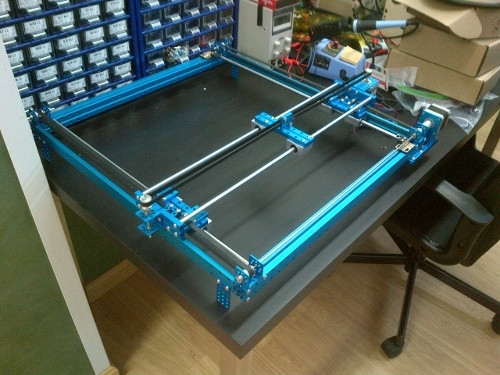 Stronger structure, super easy stepper motor driver and laser-head compatible -- Makeblock XY-Plotter 2.0 is a fully updated version of XY-plotter. With the Processing and GRemote, the XY-Plotter 2.0 is a drawing robot basiclly, you can draw amazing pictures with Gcode. 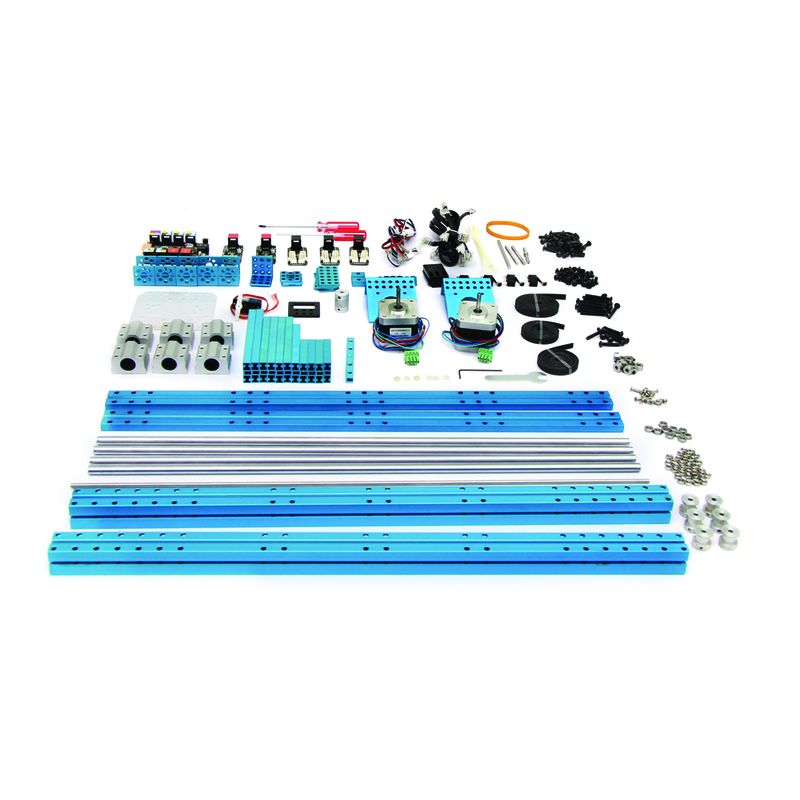 Since we reinforce the structure, the XY-plotter 2.0 is stronger enough to be conversed to MiniCNC, 3D printer, driller, laser cutting machine, etc. And the movement of the terminal is stable and precise since the improved dual-way transmission mechanism. We replaced the stepper motor driver to A4988, whose operation is much easier than Me 2H Microstep Driver V1.0. Please visit the link to download the software and assembly instruction.